Recently, the McKinsey Global Institute published its report 'The Most Dynamic Cities in 2025' in Foreign Policy, a highly respected US journal. On this list, 27 mainland Chinese cities as well as Hong Kong took top spots alongside Shanghai and Beijing, leaving many other world-renowned metropolises far behind. As a Chinese who has lived through China's transformation over the past two decades, I was hardly surprised by the results of this report. What really shocked me was the doubt and controversy that this report generated in western media, especially the negativity in the heated discussions published in the very same issue of Foreign Policy. First of all, when it comes to civilization, there are very few countries where civil society can be traced back 5000 years like China. Today’s China may be in some aspects less civilized compared with the more developed countries, but China has come a long way in creating a more civilized society in recent years. When the People’s Republic of China was founded in 1949, the illiteracy rate was more than 80% in China, but as of today, the illiteracy rate among Chinese born after 1980 is under 1%. In cities, 80% of students go on to post-secondary studies. These highly educated young Chinese will undoubtedly redefine China's civilization. When it comes to parenting, the 80s generation, now mostly young parents, are studying how to be a parent, which would have been unheard of just a decade ago. The new Chinese parents are teaching their kids to use polite expressions like ‘thank-you’ and ‘sorry’, something generally neglected in the past. Pioneer cities like Shanghai and Guangzhou opened ‘Manner and Etiquette’ classes in most of their primary and high schools starting in 2006. Our education system is changing as well, gradually switching from being purely exam-oriented, to cultivating students with all around abilities. Our future generations will continue to bring China into a new era of civil society. It is ironic for Mr. Fish to call China 'unlivable' by describing China as having 'lack of civil society', yet in his own narration later he wrote: 'Chinese cities have little crime, one can stroll safely through Beijing's magnificent Temple of the Sun park at midnight'. How many of today's ‘livable’ and ‘civilized’ North American cities can claim that? Air pollution is an issue in China, but no different than the smog that hung in the sky in Pittsburgh, London, or Los Angeles when those cities were going through their own vast development phases. China is generating the greatest total greenhouse gas emissions in the world, but its greenhouse gas emission per capita in 2008 only ranks 78th of 214 countries in the world, while Australia ranks 11th, followed by USA (12th) and Canada (15th). China is manufacturing for the whole world, so in a sense it’s a scapegoat for countries that don’t want to or cannot make things for themselves. Yet even with that, air pollution in China never reaches the level described in Mr. Fish's article. 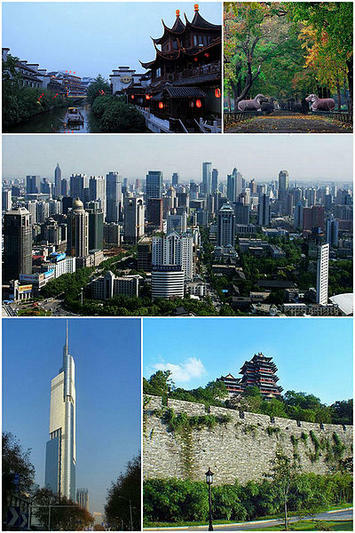 Take Nanjing (300 km northwest of Shanghai) as an example: in the one week Mr. Fish spent there, the only thing he saw was 'smog the color of gargled milk'. Having lived in Nanjing for almost 10 years, I do not find Nanjing's air quality unbearable. 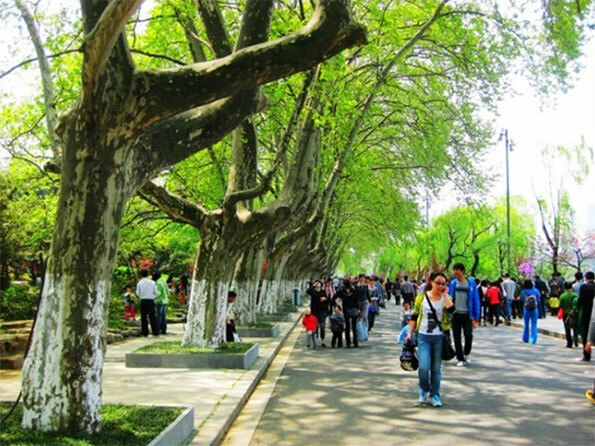 On the contrary, I love wondering on the streets of this ancient yet modern city, breathing the fresh air and enjoying the sweet scent given off by the Wutong Shu (Phoenix trees) erected on both sides of the streets. Every morning, citizens go outside to exercise in the mountains and parks. At night time, people take walks outside after dinner. Never would I suggest that Nanjing is an 'unlivable' city. In 2011, 14.5 million cars were sold in China. It has overtaken America as the largest automobile market. This has and will continue to cause significant traffic congestion, a worldwide issue most metropolises face today. However, China is very proactively providing solutions to this problem. In Beijing, Shanghai and Guangzhou, the local municipality limits the licenses plates issued every year in an attempt to relieve the burden caused by new traffic. Of course, China knows better than anybody that nothing will stop its citizens' desire for car ownership as they get richer, so the only way to prevent future traffic problems is to invest in more quality highways, cleaner cars and better public transit systems. With China now spending approximately half a trillion dollars annually on infrastructure (9 percent of its GDP), visitors should not be surprised to see numerous highways and subways under construction in most Chinese cities. In 2010, Shanghai had the world's most extensive subway system (429 km), followed by London (402 km) and then Beijing (372 km). By 2020, the total length of Shanghai's subway lines will reach 877 km, more than double of New York's current total length of subway lines. Meanwhile, China provides large subsidies to the taxi and bus industries. On top of that, with the world's longest rail network, China's high-speed rail system is changing the way people travel between Chinese cities. The newest bullet train from Beijing to Shanghai can bring passengers to their destination in less than five hours, while flying over the terrain at a maximum speed slightly over 300 km per hour. Bureaucracy has been rife in China literally for millennia, and the onset of a market economy has not changed that sad fact. Much of the criticism of China relates to censorship. Yet this is less an issue for most Chinese than for either westerners and some Chinese intellectuals. With the fast development of information science and the enormous variety of media available, people can freely choose what movie, play or art show they wish to watch, discuss anything they are interested in with their families and friends, and most importantly live the life styles they want. The 'pervasive fear of censorship' described by Mr. Fish literally does not exist for today's average Chinese citizen. Mr. Fish also gave specific examples of 'unlivable' cities in China. Among them, Harbin, the capital city of Heilongjiang province, was voted the least livable metropolis mainly due to its cold winter. Personally, during my own time there, I was fascinated by Harbin's characteristic Russian architecture, the massive and astonishingly beautiful ice sculptures, and the fun winter activities that were available. All these temperaments make Harbin an extraordinary city. I am currently studying in Canada, a country justly famous for freezing winters. Constantly hearing Canadians complain about their 'unbearably cold' winters makes me realize that if winter temperature is a key criteria to judge whether a city is livable or not, Winnipeg, Manitoba would probably be crowned the most unlivable city in the Western hemisphere. I can only imagine what Mr. Fish would have to say about cities like Oslo, Helsinki, Copenhagen, or Minneapolis. China clearly is no paradise, yet the world should recognize how significantly the quality of life has improved over the stereotypes of the past. Growing up in 40 square meter (430 square feet) 'Dormitory Style Housing' (as Mr. Fish put it), with my parents and grandparents, I remember vividly how our neighbors nearly burst through our door to see our newly purchased color TV, the first they had ever seen. My happiest moment was licking a popsicle to its last frozen drop in the summer heat. Considering my parents' combined monthly salary about 20 USD in the 1980s, this popsicle was quite a treat. Two decades later, in the same summer heat, my husband and I moved into a brand new three-bedroom condo in Nanjing, fully equipped with the most modern electronic appliances. Our condo is surrounded by a beautiful pond, a gymnasium, a supermarket and a nearby subway station. We make 3400 USD a month, eat out often and travel every year. This is not atypical for most middle-class Chinese people now. The welfare system is improving, people are less worried about getting sick, a retirement fund is in place, people now travel not only domestically but also internationally, and many send their children abroad to receive higher education. Where we are now would have been unthinkable to most people only a few decades ago. I’m often deeply saddened by the way in which China is so often portrayed in western media. China’s growth and development over the past few decades has been vast, and it possesses potential for a more affluent future. Westerners may refer to China as ‘unlivable’ but for me, and hundreds of millions of people like me, China today is more than simply livable, and it will continue to improve as time goes by. Lisa Gu is a 28 year old Chinese national who lived in Nanjing, China. She is currently studying at Wilfrid Laurier University in Waterloo, ON, Canada. Photo by Wikicommons user shakiestone. Submitted by david watson on Sun, 05/17/2015 - 14:54. Submitted by david watson on Fri, 05/15/2015 - 06:58. Submitted by david watson on Wed, 05/13/2015 - 15:51. Submitted by mobi on Wed, 05/13/2015 - 07:19. Submitted by david watson on Sat, 05/09/2015 - 06:12. Submitted by johnz308 on Tue, 05/05/2015 - 23:45. Submitted by xijozx1122 on Tue, 05/05/2015 - 07:13. Submitted by johnz308 on Fri, 04/24/2015 - 09:34. Submitted by johnz308 on Wed, 04/15/2015 - 11:31.